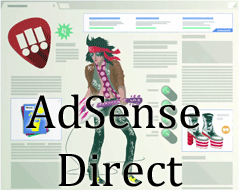 9 month sago, Google launched AdSense Direct, a quick and easy solution for publishers to do direct ad sales within Google AdSense. Back then, many loved the idea, because it was much simpler to use than Google's DoubleClick for publishers and other ad systems. But I guess it didn't take on as Google imagined. Google is discontinuing it. A WebmasterWorld thread has publisher sharing an email from Google saying the services is being discontinued on November 25, 2014. Thank you for participating in the early trial program for the AdSense Direct link. After analyzing the results of the initial testing period, we've decided not to move forward with this beta feature. We want to thank you for trying it out and giving us your valuable feedback throughout the process. So I guess that is the end of that.